Cholesterol is a fatty substance known as a “lipid” that is an important substance to aid the normal function of the body. It is produced by the liver but it can also be found in foods. This substance is also used to make bile that the body needs to digest foods and synthesis of different hormones. Because, it is in every cell, the liver makes all the cholesterol a person needs and then circulates it through the blood. It cannot dissolve in the blood, therefore, particles known as lipoproteins help transport it from the liver to the cells through the bloodstream. There are 3 types of lipids (fatty substances) in the blood known as, the Low-density lipoprotein (LDL), the High-density lipoprotein (HDL), and Triglyceride. LDL is known as “bad cholesterol”, it builds up in the artery walls, causing the formation of a thick, hard deposit that can clog up arteries and make them less flexible. Lower levels of it is good for the heart. HDL is known as “good cholesterol”, it helps remove LDL away from the arteries, transporting it back to the liver, where it is either broken down or delivered out of the body as a waste material. Lower levels of it is bad for your heart, increasing your risk of a heart disease. With atherosclerosis, plaque buildup inside the arteries will cause to partly or entirely block the blood flow of an artery in the heart, brain, kidney, arms, legs, pelvis, etc. This anatomical phenomena can lead to certain risks like (angina) chest pain, coronary artery disease, chronic kidney disease, carotid artery disease, and peripheral artery disease. This condition can also lead to heart attack or stroke. Recent statistics present the current alarm about high cholesterol. 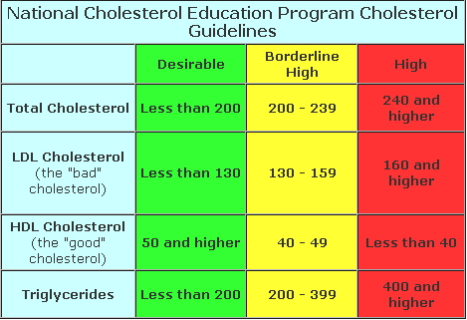 About 18.7 % of American adults have low levels of HDL cholesterol (the “good” kind). Unhealthy diet, lack of exercise, obesity, diabetes, and smoking, are just factors that may increase your risk of high cholesterol. So, next time, you should be particular with your health digits, have a balanced diet and exercise, and always consult your physician.